A Journey to 10,000 Subscibers <-- Can I make it? Hey guys first off I want to welcome you to my blog and taking the time to either read this or watch the above video. What this post is all about is to invite you on a journey with me to building a successful business online. But before I get into what the journey is going to entail I want to take you back and share with you how I got started online. I got started online back in October 2010 and prior to that I knew absolutely NOTHING about online marketing. And when I mean nothing I mean absolutely NOTHING! I didn’t know what WordPress was, hosting, c-panel, traffic generation, squeeze pages, sales funnels, SEO, jv’s, affiliates, NOTHING… If you were to look at the dictionary under “Internet Marketing Newbie” You would see my face on there. One thing I did know however was that people were making a living online and making a good income. So I made it my personal mission to find out exactly what these people were doing to make all this cash from the internet. In October of 2010 I purchased a training that cost me $2,000 to get started with and it taught me EVERYTHING that I needed to learn about online marketing. I learned how to research a niche, how to create a squeeze page, how to drive traffic, how to build a list, how to use an autoresponder , etc. All of the tools and skills to building a successful business online…. …but if I fast forward 2 years, although I’m making a good income online, I find my income being scattered all over the internet from 3 different sources and not really giving 100% of my effort to any one thing. I’m making money from my SEO niche sites, video marketing, from my email list, and as of recently from product creation. Now all of this may sound great and all, I feel like I can be doing a lot more if I just focus my 100% energy on one thing. Some of you may relate to this if you find yourself buying product after product, jumping from one project to another, chasing after the shiny objects. That’s how I still feel today since I’m scattered everywhere. I think it’s time to really put my big boy pants on and FOCUS! I want to focus my energy on building a true business online instead of just an income. Building an income is great and all but when you can build a true business online that has brand value and a strong loyal following that is when you get into the big leagues. So the purpose of this journey is to invite you to join me as I build a true business online. The way that I’m planning to do that is by building a list of loyal subscribers. My goal for the rest of this year is to hit 10,000 subscribers by the end of this year. I’m at 5,000 subscribers so far that I’ve built up over the last 2 years but I really want to double that over the next 3 months. Not only that but I plan on sharing EVERYTHING I will be doing to accomplish this goal with you on a weekly basis which is why I am openly inviting you to join me on this journey. So If you woud like to join me then I look forward to sharing with you everything I will be doing on a weekly basis to build my subscribers list. If you want to stay up to date with my journey then be sure to subscribe to my list to be notified when a new update is posted. P.S. I would love to hear from you in the comments area below. Where you’re from? 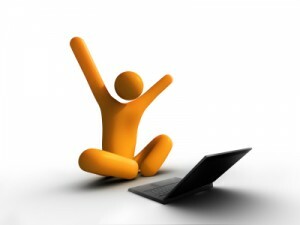 Where you are in your online business? What you are struggling with the most? or anything that you feel like sharing with me.. Damn dude 5k subscribers thats a lot of subs, I think getting to 10k subscribers would be a lot easier for you now then it was getting your first 100. I want to get to 3K before the year is over and I’m currently at 600 hmmmm this may take a while but I’m sure I will figure out a way to do it. Thanks for stopping by man. and yea 5k feels like it’s taken quite a while lol. I should have been a lot further along with my list but since having been doing so many different things it’s taken longer then it should have. I am looking forward to really focusing on list building and giving it my all. 600 is a great accomplishment man. It took me about 4 months to get my first 500. I think we all have to realize that this is a journey not a marathon. I look forward to hearing more about your list building as well. Hey Joshua thanks so much for the blog comment. That is great that you have 5000 subscribers already. Very inspiring! I’m sure you will get to 10k subscribers fast. I would love to know how you make your youtube videos and what equipment you need. I will definitely subscribe as well. So cool that you went from a newbie to someone already on their way to success. Thank you for stopping by 🙂 For some reason you and the others comments have been going to my spam folder so I did not see them before so sorry for the late response. and yea I can still remember back in October 2010 when I gave the guy my Credit card number over the phone to pay 2k for the training I was buying. It’s been the best 2k investment I’ve ever made. For the video I simply used iMovie and my built in Camera on my Macbook air. For other videos I will be posting I am going to be using Screen-cast-o-matic which is $15 for the premium version. But they have a free version which allows up to 15 minutes of free recording. Sounds like you have an awesome foundation to reach your goal Joshua! I would be thrilled with reaching just half of what you have achieved so far. With your obvious skills and determination, I am sure you will succeed quickly. Way to go 🙂 I am off to subscribe myself! Thank you for stopping by 🙂 I spent 3 months learning the skills I’ve acquired online and the last 2 years implementing it which is also a learning process all together. I definitely believe that anyone can build a successful business online. I have no special skills, no advanced education. I just had a will to learn the information and take action. I am looking forward to seeing the things you will be doing to build your list. I am fairly new to online marketing and have heard that list building is the way to go. Yes List building is one of the best and easiest ways to build a true business online. I look forward to sharing with you everything I will be doing to build my list. Wow I’m almost blown away for you Joshua : just really proud to see you @5000 subs so far I want to stay up to date with your posts and see where this journey takes you. Go to it my friend..
Wow, 5000 subscribers! I can’t wait to get there! I’ll be watching you 0_o and studying your methods, that’s for sure! I’ll be rooting for you as well 🙂 I hope that I am able to help you by sharing what I’ll be doing on a weekly basis to reach my goal. Thanks for stopping by. I fully agree with you that keeping your focus and going for it is the way to go. So many people are all over the map, and trying some different little tool or trick each day to see if they can take a shortcut. Putting together a plan like yours and taking action, is the true secret in this business. All the Best..I look forward to your updates. Great to hear from you my friend. And yea lack of focus and goal setting has been a big issue for me. It feels good to now have a clear goal and focus to aim for. Good stuff Joshua. That’s a lot of subscribers but definitely an attainable goal for the year. Look forward to hearing what you’ll actually be doing with your subscribers. Yea man definitely. And nothing anyone can’t really accomplish if they stick their mind to it. Great goal setting here, Joshua and good luck. Iwill definitely be following your journey closely. Pat Flynn is doing something like this and I’m on his list too. I think the first 500 is the hardest and then possibily gets easier. You definitely deserve the reward of achieving your 10,000 subscribers. I’m sure everyone here also feels the same and appreciate your WordPress videos as much as I do. You have a great plan and a great mind set, so you should be able to achieve what you set out to do. Congrats! Thank you Janis that really means a lot 🙂 I really appreciate your encouragement and kind words. Anything I can do to help let me know. Focusing is/was my biggest problem. Jumping from one thing to another without completing the one I was working on. Recently I decided that I was going to focus on one thing and that is List Building. Just started out 2 months ago and have already 276 subs . They all came from paid traffic (solo ads). Good to hear from you. And i definitely know where you are coming from. I think a lot of people have trouble focusing 100% of their energy on 1 strategy. I’m glad to hear we are on the same boat. I too have decided to go 100% for list building. Solo ads is a great way to get started. Here is a facebook group that I’m a part of that will help you out tremendously and you can find some great solo ad vendors in there http://firststopim.com/soloswapgroup/. You definitely want to be careful when buying solos. Is it your personal blog ? I totally agree with you that “focus” is a key factor to success in any business..
and email marketing) and one traffic source (solo ads)..
of new subscribers added to my list everyday lol..
I’ll be following you everyday and hope that you reach the 10000 subscribers very soon! Thanks Sam 🙂 That is great and I know the feeling of seeing the list growing daily. Send me an email to support@zamuraiblogger.com if you have a high value freebie we can swap 100 clicks or something. Sure 🙂 I’ve sent you an email..
Hi there Joshua! I wish u the best of luck in your journey! Thumbs up for your goal!!!! I’m Liviu from Moldova (S-E Europe). If u dont mind i got a few questions. 1. U promote a single landing in your solo ads or u have different freebies? 2. Do u use OTOs after they optin? 3. How do u build relationship with your list? 4. How do u monetise your list? 5. What do u suggest – buy a few large solos (like 1500 clicks) just from a few providers, or u prefer to buy smaller solos (50-200 clicks), but from more providers with a wider range of subscribers? 6. What niche do u focus on? 7. Where do u find good solo ad providers, on Warrior? Where else? 8. How much should i pay maximum per click in a solo ad? 9. How much should I pay for a subscriber? 1. I have two main offers I promote. One is for my wordpress training videos and the other is for my free video marketing report. 2. Yes I use an OTO for all my funnels. For my wordpress training I use a traffic generation course which I’m an affilaite for. And for my video report I use my case study video training as the OTO. 3. I have a 5 day sequence set up where the first 4 emails are all content driven with no pitches. Then the 5th email is a pitch. I like to lead with value with every promo I do. 4. I monetize via affiliate programs or my own training. 5. I defintiely suggest buying smaller solos from a few different vendors. The reason for that is there are not many people who can deliver quality 500+ click solo ads. And if you do find one at a good price I would do my research on them first. Do NOT throw a lot of money at a vendor whom you don’t know. If you first buy a small solo and they deliver you can them jump forward for the bigger package. I am working on putting together a page on my blog where I post all the solo vendors I’ve bought from and trust. 6. I focus mainly in the Make money online niche. But I also have some smaller lists in other niches which I’ve built via video marketing. 7. I find them on Warrior Forum, Skype Groups, Facebook Groups, and from referals from other people. I also do plan on putting up a page here on my blog from vendors I’ve bought from. 9. There are not many people who sell per subcribers solos. But if you buy per clicks you can always work out the math to figure out what your cost per subscriber was. Hey Joshua! Wow this was a fantastic reply! Thanks a lot for sharing your experience ! I really hope u accomplish your goals in the nearest future. How can we see your list of trusted solo vendors? But I look forward to reading the rest of your site and I hope to see your Solo Ad buyer list as I am focusing HEAVY on building my list. I wish you much success!! Awesome Jonathan! Great to have you here 🙂 I’m working on my solo ad list as I type this. Should be ready soon. Thank you for stopping by 🙂 Anything else I can help with let me know.